if partner A of firm ABC has business relationship with company, then B and C and firm are disqulaified or not to be appointed as auditor. ? Sir, wants to know that whether CARO 2015 or CARO 2016 is applicable for November 2016 CA Final Attempt?? we need to study which CARO? CARO 2015 or CARO 2016?? 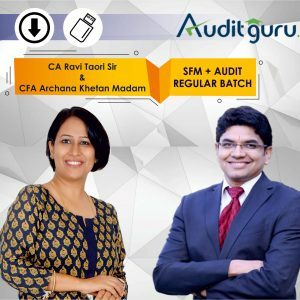 Dear Sir, can you upload CA Final May 16 Suggested answers of Audit paper ? Sir, in the revision class conducted by you , you told us some memory techniques to remember SA numbers and told us that you would give us a link where you have uploaded the same. Could you pls send that link? Sir exactly which are the prescribed qualification allowed? How to appoint new company auditor when we remove old auditor before expiry. Does removal also tends to casual vacancy? Please let me know, duties of auditor which are specified under section 143(1) and Report on Principal assertions u/s 143(3), whether these should be write serially in exams or writing in any way is sufficient. What is the meaning of Assertions and Managed Those Charged with Governance ??? What is Compliance & Substantive Procedure ? Kindly explain with example in detail. Is it necessary that CA or Firm is practicing in India?? What is the meaning of ” as the manner decided by members” in context of remuneration under section of 142 of Co Act. sir can a DIRECTOR of holding company is disqualified for AUDIT of subsidiary company also? hello sir.. Who appoints the auditor in case of SBI & Nationalised bank? In section 141 of disqualification of auditor.. The auditor’s relative can hold maximum of 100000 ₹ face value shares.. This limit is for all relatives or each relative 100000₹?